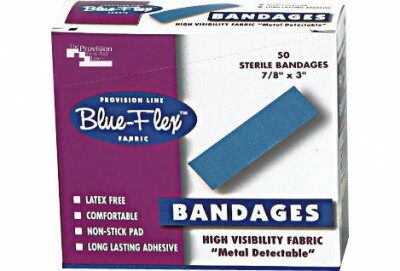 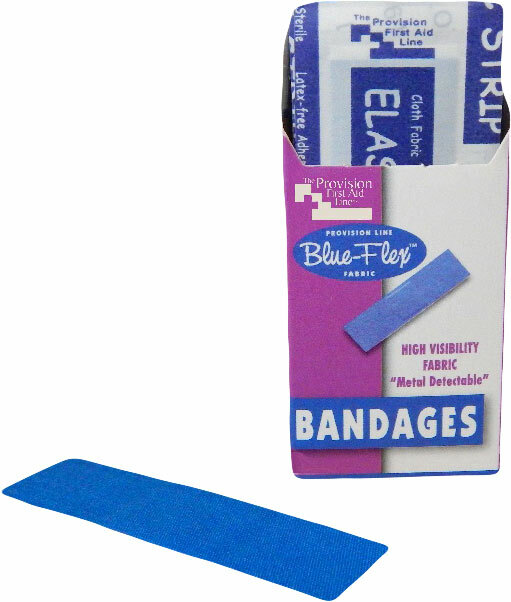 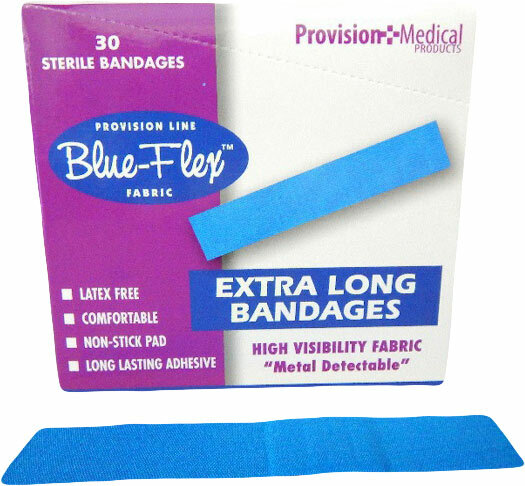 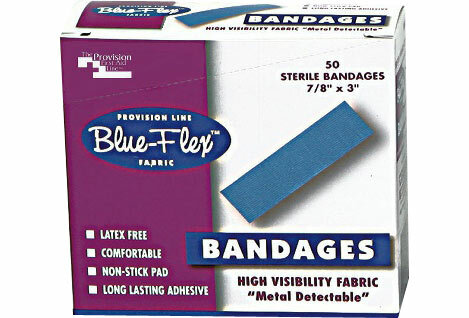 Bright blue fabric adhesive bandages provide instant detection if lost during food processing or preparation. 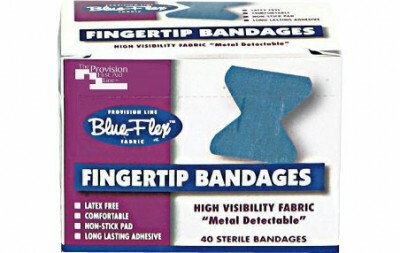 The non-stick pad contains metal foil underneath the pad. 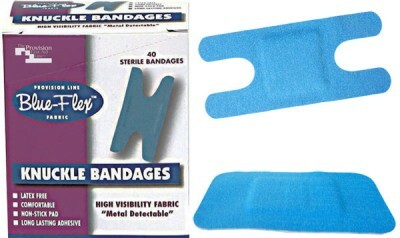 If lost, will instantly trigger a pre-tested metal detector.